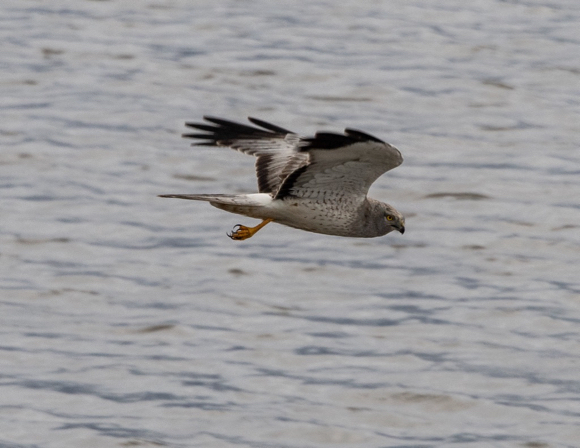 With respect, the raptor shown looks like a male Northern Harrier (readers of a certain age may have known is as “marsh hawk”). Note that it has a white band across its back, where the wings end and tail begins. And it lacks the dark “patagial” marks on the underside of the wing, a dark bar between shoulder and wrist, that a red-tail always has. Merlin is an excellent app to help with bird ID. 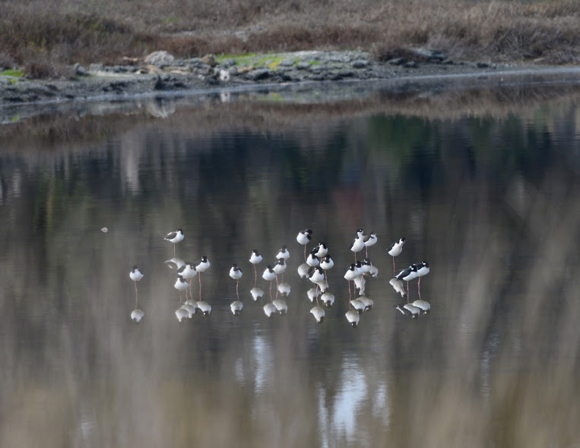 We invite you to check out Bedwell Bayfront Park, Menlo Park’s own open space park, where you can get wonderful photos of ducks, shorebirds, sometimes raptors. 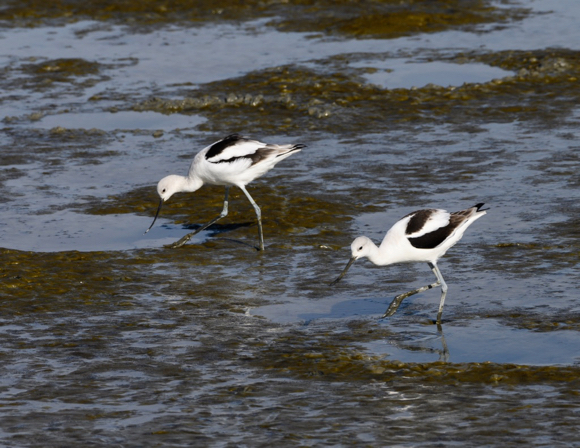 Beginning birders are invited to join our monthly bird walks in winter, 2nd Saturday. 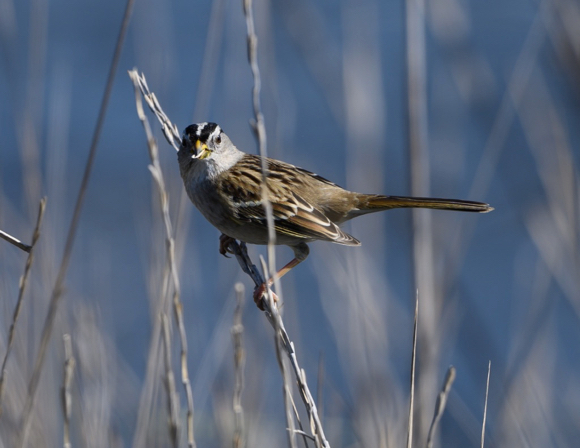 See https://www.facebook.com/events/578406205971267/ or check Sequoia Audubon Society’s webpage. Thank you. I thought that white raptor might have been a Marsh Hawk but I have never before seen one that color. Do you know whether Red-Tailed Hawks have winter plumage? Kaye, red-tails don’t have breeding/non-breeding plumages the way many song birds do. N. Harriers are interesting as they are one of the raptors where the males are differently colored than females (sexual dimorphism). Red tails differ only in size (slightly). Previous post: Rain keeps coming – hail, snow on the way?